Beautiful Dress!! weddingwhims: New at The English Dept. : the Sweet Pea gown from Ivy & Aster. I’m going to end this ETSY THURSDAY with this beautiful dress, loving the frills!! 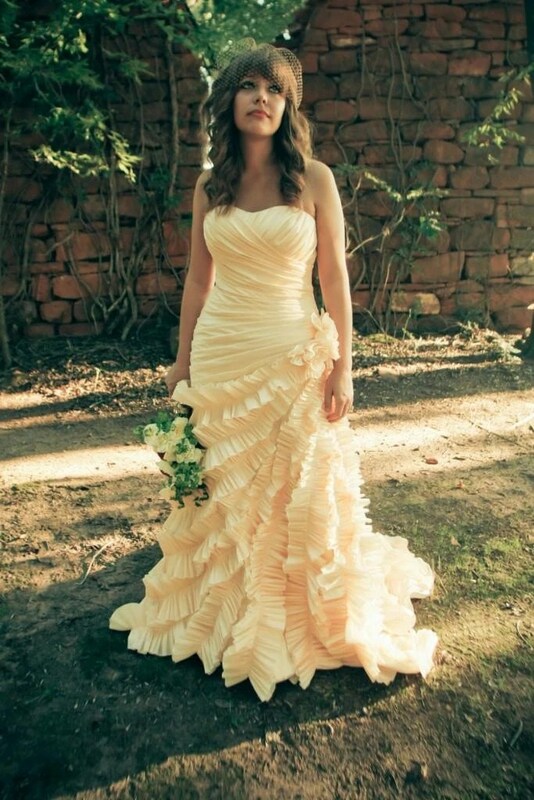 ETSY THURSDAY: Love this wedding dress!! What a cool concept! 2 dresses in 1! What a cool concept! How many brides have wished to have 2 dresses: 1 for the wedding and 1 for the reception! Keeping it sweet and simple this Etsy Thursday..
Keeping it sweet and simple this Etsy Thursday with this beautiful wedding find. Its simple, yet elegant! Vera Wang at Davids Bridal??? Thanks to a tipster, I am able to present Vera Wangs “White” Collection featured at David’s Bridal! This affordable collection is amazingly beautiful and offers a reasonable pricetag for a bride looking to sport a designer gown at a steal of a deal! This gown featured below is my fav of the collection, only $1200! Click here to view the rest of Vera Wangs “White” Collection, which ranges from $600-1400. Love this dress!!! only $789….